Getting Ready for Date Night with Wantable! I received complimentary products to provide this review. All opinions are all my own. Hubby and I decided to celebrate our 10 year dating anniversary this year. We usually don't celebrate when we first started dating because we are married, but being our 10 year, we decided to get all spiffy and go out for a dinner and movie. 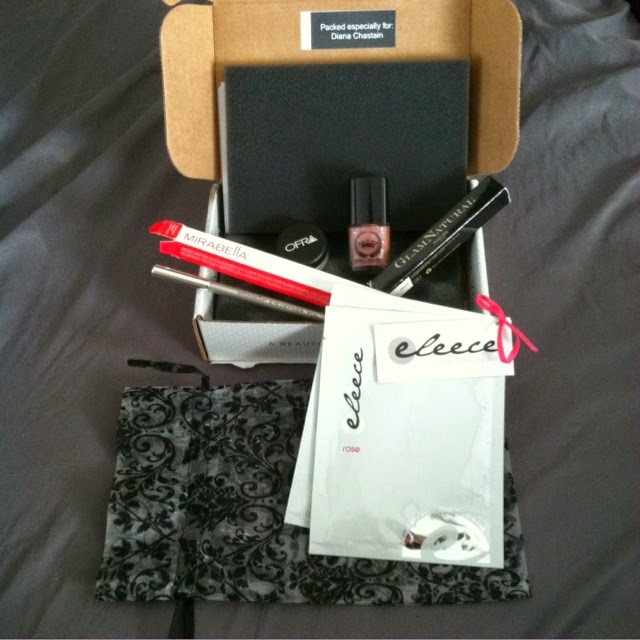 Wantable had asked me to do a review of their June makeup box a few weeks back and being the subscription box junkie I am, I couldn't resist. I don't wear makeup every day, but being date night, I wanted to look nice! But saying that I don't wear makeup every day, I love trying out new makeup products. That's why I love the Wantable Makeup Subscription Boxes. They have a jewelry and lingerie ones as well, but I think this one is my favorite. What's cool is you fill out a profile so you get products specifically for you, so no one's box is exactly like yours and you get products that fit your taste and style. Invite four friends and get a box free! You'll receive $10 for each friend that signs up once they place their first order. Use your credits towards future purchases. The more you share, the more you earn! You can grab a box for $36 a month. Do you like subscription boxes? What do you think of the Wantable Makeup Box?